The drama at Uber just won't quit. Travis Kalanick, the ousted CEO and co-founder who still has a seat on Uber's board of directors, apparently blindsided the company Friday by appointing two new board members. Kalanick tapped Ursula Burns, former CEO of Xerox (XRX), and John Thain, former chief executive of Merrill Lynch. "I am appointing these seats now in light of a recent Board proposal to dramatically restructure the Board and significantly alter the company's voting rights. 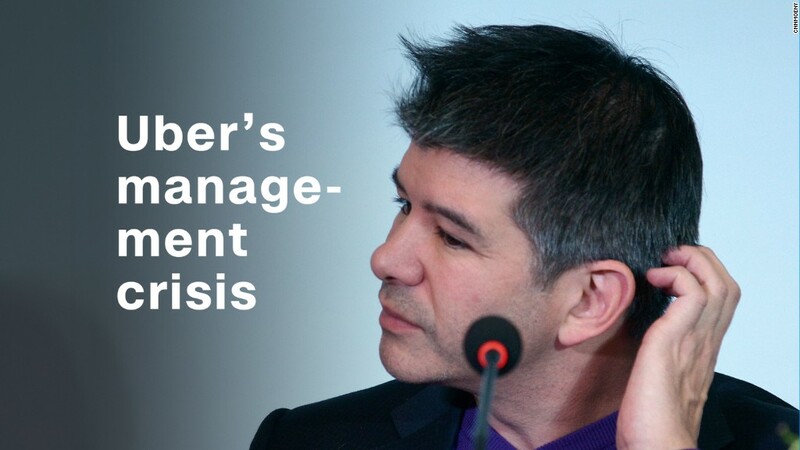 It is therefore essential that the full Board be in place for proper deliberation to occur," Kalanick said in a statement. Kalanick said he has "no doubt the Board will be well-served" by his appointees "as Uber moves into the next phase of growth and prepares for a public offering," the statement reads. Uber said in its own statement the move came as a "complete surprise." "That is precisely why we are working to put in place world-class governance to ensure that we are building a company every employee and shareholder can be proud of," the statement reads. Kalanick, who left the CEO role in June amid a series of scandals, does have the right under the board's current rules to make appointments. But those rules are at the root of a lawsuit that's currently in arbitration, and at the center of an ongoing controversy. Benchmark, a venture capital firm that took an early stake in Uber, filed a complaint against Kalanick in August. It claims Kalanick withheld important, relevant information about the company's scandals before the board voted to allow him to control three seats. According to a source familiar with the situation, who spoke on the condition of anonymity, Kalanick had not filled two of those board seats up until this point because he was "trying to respect" the legal process. Kalanick was prompted to make the appointments this week, however, when he learned about a proposal by the company's leadership and Goldman Sachs (GS), an Uber adviser. --It would revamp rules in a way that would eliminate special voting powers previously granted to some of Uber's early investors. The move would shift a great deal of voting power away from Kalanick, though he still owns a large stake in the company. --It would apply a deadline by which Uber must go public. And if by the deadline the board has not approved an initial public offering -- but at least one-third of the board wants to move forward with an IPO -- the approving board members can appoint new board members until they reach a majority. The board may vote on the measure Tuesday. Former board member David Plouffe said in a tweet posted Friday that the Trump White House "seems sane by comparison" to Uber's corporate politics. He also voiced his support for Khosrowshahi, saying he's "confident Dara will find a way forward."